WordPress is one of the best CMS platform used to build a variety of websites. Using this platform puts you ahead of your competitor, as it’s already pretty SEO friendly. However, if you want a good rank in the search engines, then you need to pay attention to the WordPress SEO best practices because SEO ranking factors are constantly changing. You have to know of the latest updates in the Google algorithm to stay on top of the game. 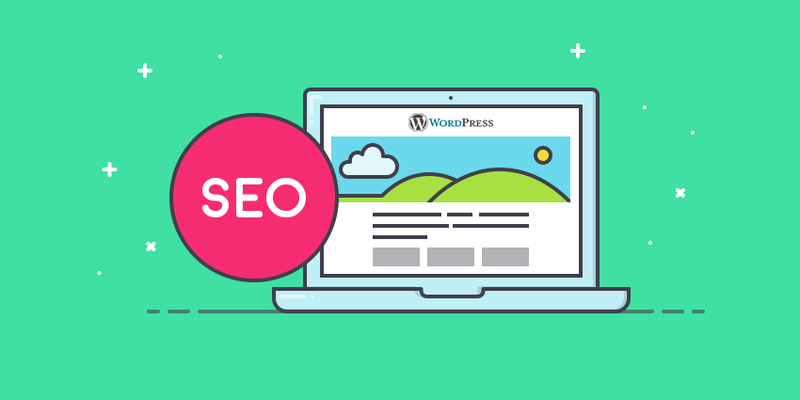 In this article, we’ll share five best WordPress SEO tips to improve your site’s ranking. Let’s get started. We recommend changing the “Post name” permalink structure, include your post or page title, and keyword in your URL. Changing the “Post name” improves your chances of getting better positions in search results. The length of the permalink should not be more than 100 characters maximum. To change “Post name” permalink structure, click “Permalinks” under the settings in your WordPress dashboard. Click on “Post name” and make necessary changes, then tap on “Save Changes” when done. Keep in mind that changing the permalink structure after your blogs have already gone live can render all previous links useless and audience sharing these links on social networks will remain unable to direct traffic to your site. Many WordPress users complain about their website or post not getting crawled by search engines. However, there are lots of reasons why their website or post are not getting crawled. One of it is that most website owner forgets to uncheck the visibility setting in the WordPress dashboard that prevents their site from being indexed in search engine. If you’ve tried different tips, but not seeing your rankings improve, this could be the issue. Don’t forget to uncheck this setting before you dive into the world of search engine optimization. Website speed is an essential part of WordPress SEO. Having a slow loading time will negatively impact your user experience and rankings. Search engines like Google rank faster sites higher than slow loading websites. So how fast is your website? You can use tools such as PageSpeed Insights to measure the speed of your site. This tool will analyze your website and give you an overall speed rating. Search engines like Google love to see high-quality content. Therefore, website owners need to develop a good content strategy to succeed online. You need to create valuable content that is relevant to the topic of your web resource. You also need to know your target audience as you write. Know the types of posts they sharable most and the kind of blogs that receive the highest comment. Ask yourself the following questions to have a better perspective of what your audiences are looking for? Why are the current webpages ranking? What style of post receives the highest click-through rate? Is the audience looking for information or product content? Are they looking for something short read to read or in-depth? However, with a better understanding of the keyword, the pages that rank well, and what the audience wants, you’ll be ready to create a piece of epic co. Final writing tips, you can make use of your WordPress Yoast SEO section and take full advantage of it when writing your blog post. Yoast SEO can help you add a title, Meta description, and focus keyword to every page and blog post. It also shows you a preview of what your audience will see when they Google your website before posting. Your WordPress website contains hundreds of pages as it grows. To get Google index these pages, the search engine needs to know your site structure. Creating a sitemap can help you handle this job correctly. Sitemaps are known as URL inclusion protocols can tell search engines what to crawl on your website. They can make the process more effective, ensuring your new content is found as quickly as possible. It helps Google to understand your website structure while crawling it easily. Creating XML is quite straightforward. Fortunately, WordPress has different plugins that will automatically generate an XML sitemap for your WordPress site. Some of the best include Google XML Sitemaps and XML Sitemaps. These plugins can create a sitemap of your website so that Google can index your blog more efficiently. Being featured on the first page of any search engine is a great accomplishment, but achieving that is not a simple task especially if your niche is extremely competitive. Nevertheless, if you consistently practice the SEO tips above, you will be ahead of most websites. We hope this article has helped you know how to grow your WordPress site for ranking. Go ahead and implement these SEO tips, and you should see an increase in your WordPress traffic within a few months. However, if you’re finding it difficult to implement some of the tips provided above, we recommend consulting Joel House Search Media for help. Having a professional handle your website SEO ensures fewer mistakes are made which leads to better and faster results.